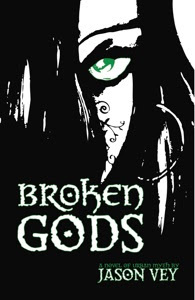 Well, folks, my debut novel, Broken Gods, is now in publication. It can be purchased direct from the publisher, Reliquary Press, above, but should also be available on Amazon, Barnes & Noble online, and affiliate sites within 2 weeks. By all means, though, feel free to buy one direct from the publisher! Indeed, it's financially better for me if you buy direct. When Sabrina Matthews is offered the chance to become the living avatar of her goddess, she jumps at the chance despite a depraved cost... building a dark cult for her mistress by slaughtering sinners to feed her power. When amnesiac Jacob Crane is visited by a dark stranger who offers power over fortune itself if Jacob agrees to oppose Sabrina, he accepts, despite the need to feed on living souls. Homicide detective Frank Hill and his ex-lover forensic psychologist Lexie Miller are hot on the trail of what they believe to be a gruesome and elusive serial killer, when a third faction of strangers offers them the power to bring a stop to the killing. Who will prevail? Will it be Sabrina, Jacob, Frank or Lexie? Or will they all forever remain Broken Gods? +1. Special thing to have done. Thanks, all. It's not the dream come true quite yet, as it won't likely be carried on shelves in international chain stores. But it's definitely a step in the write direction. .
Just thought you'd be interested to know that Broken Gods should be shipping this week, and should also be available for the Kindle and Nook this week. Apparently Apple takes forever to get things approved and loaded into the istore, but it'll be coming for the iPad as well. Congratulations Jason! I wish you the best of luck! Okay, folks, the format problems have been fixed! Jason, I'm finally getting around to tracking your book down. Is there a "signed by the author" option?